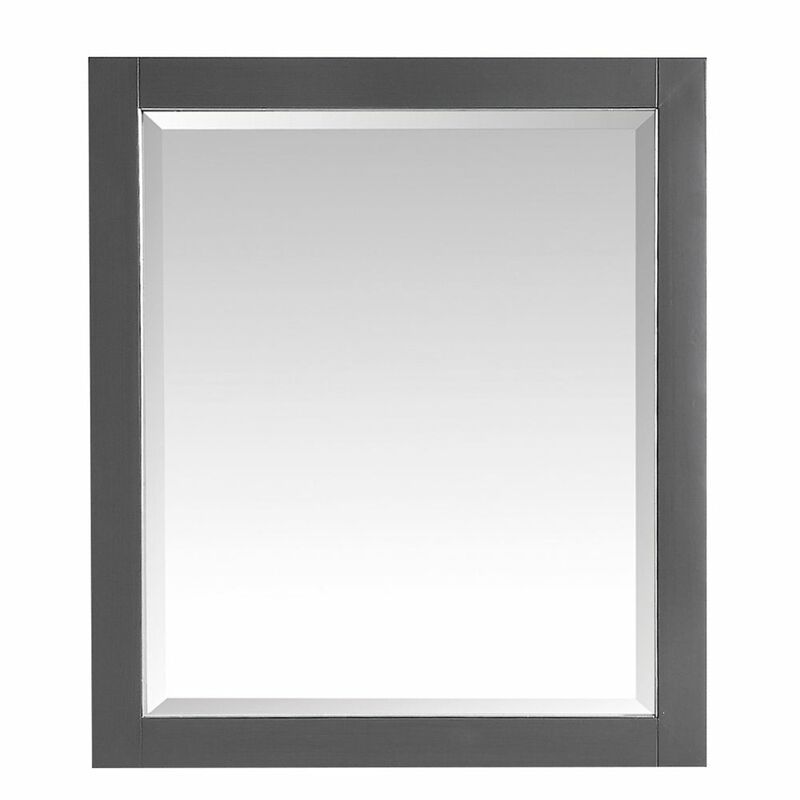 This 28 inch mirror features a minimalist design that pops with color thanks to the refined Twilight Gray finish with brushed silver trim. It features a solid wood birch frame and wall cleat for easy hanging. The mirror is a perfect companion to the Allie / Austen vanites. 28 inch Mirror for Allie / Austen in Twilight Gray w/ Silver Trim This 28 inch mirror features a minimalist design that pops with color thanks to the refined Twilight Gray finish with brushed silver trim. It features a solid wood birch frame and wall cleat for easy hanging. The mirror is a perfect companion to the Allie / Austen vanites.